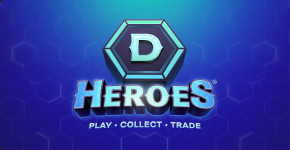 DHeroes is the first ever collectible card game with Real YouTube Bloggers. The card powers are based on the Real Numbers of top media influencers. You know them perfectly well, and now they are part of your gaming crew.